Were it not for some video analysis which Cork completed as a squad in the wake of the decider, Eimear Scally admits she wouldn't have dared to watch back any of last year's heartbreaking All-Ireland final loss to Dublin. With the pangs of defeat still fresh in her mind, the Cork attacker was "dreading the meeting" but it offered Ephie Fitzgerald's panel an opportunity to see where they may have gone wrong in their preparations and make suitable changes for 2019. It made for torturous viewing but it also offered them the chance to "put it to bed" and try to finally move on. "My dad would harp on about watching these games back so that it drives you but I just couldn't watch that back," Scally said. "A couple of days after it really hit home how disappointing it is to lose in Croke Park in front of that many people, in front of your friends and family. It's just a weird sensation when the final whistle goes. "I can't remember how much they won by in the end but you knew in the last couple of minutes that they weren't going to let it slip. "So in the last 30 seconds when you're looking up at the clock and you can see it counting down, you're just thinking 'Ah no like' and this feeling inside you is just awful, but at the same time no one dies at the end of the day. "It's a hobby so you just have to park it, I'm not one for dwelling on the past too much so you just have to drive on again." Scally caught the tail end of a golden era for the Rebelettes, winning a hat-trick of All-Irelands in her first three years with the senior set-up and the 22-year-old is keen "to go hell for leather this year". Experienced faces like Bríd Stack, Briege Corkery and Rena Buckley may have called time on their days with the footballers but they left a lasting legacy behind them and Scally has little time for talk of any transition, with her sights set on the all-conquering Jackies. "That crop of players that are so well known are gone but at the same time they were teaching us things and giving an ethos to go by, we really need to get back into that. I'm really looking forward to this year," Scally said. "I know there's not much between a couple of top teams and with Dublin, there's always a good rivalry there. I really do look forward to the big days and we're conscious that we need to be looking forward to an All-Ireland final every year. "If you want to be the best, you have to play against the best so we're really going to look forward to that. We're really going to go hell for leather this year. You need to push that away (talk of transition) and just get on with who you have. "We do have good players there, we might be young but it's still a good thing and we're all capable of All-Ireland success. We have all the factors needed so there's no reason why we can't push on and win an All-Ireland." 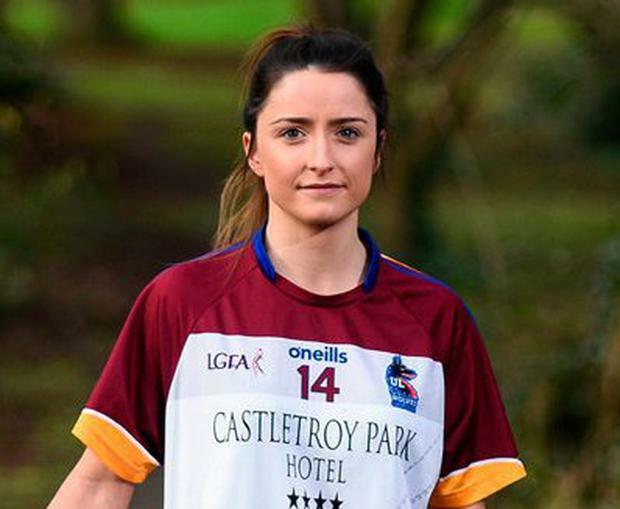 There were a couple of occasions last year when Scally nearly went through "mental breakdowns" due to the demands of club, county and college football and she'll be kept busy in the coming weeks. Mixing commitments between UL (where she studies health and fitness) in the Gourmet Food Parlour O'Connor Cup and Cork in Division 1 of the league, while also trying to keep her hand in with Éire Óg, is no mean feat but she knows it won't last forever so she'll get through it. "I probably seem like I was crazy but there was genuinely one time last year where I was like to James Masters (coach) in with Cork, 'James, I just can't train tomorrow morning, I'm just so tired' and he was like 'no bother'," she said. "You just need a break. I needed those few weeks over Christmas where I didn't do any training, it's just mental fatigue and you're trying to do a little bit of part-time work to get a bit of money or do your college course so it is tiring. "It's going to be busy again between college, club and county and it's been like that the last few years, but while we're young and somewhat fit we'll drive on." It all starts again today against Galway in their league opener and Scally will be one of the new breed hoping to steer the Cork ship safely into dock this season.